Have you been following the Craft Cornucopia challenges?! If not, you can find more details here. 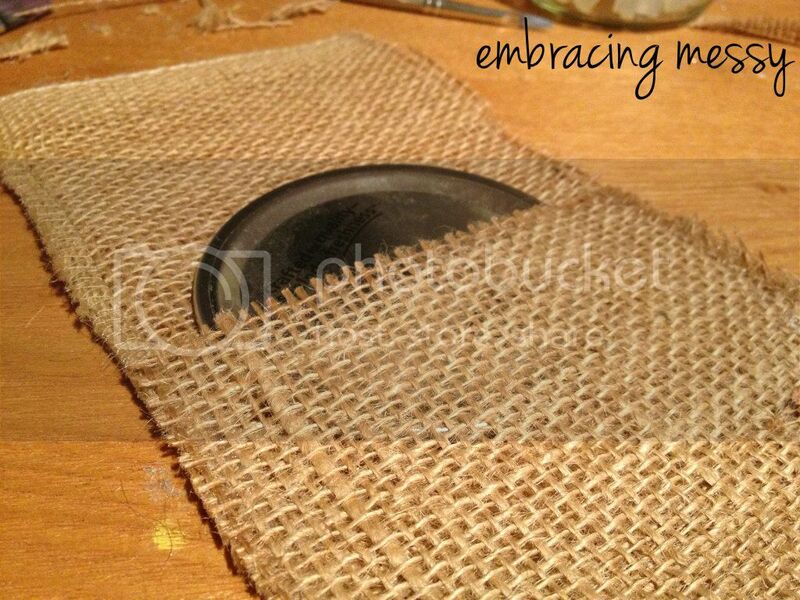 This week Alecia from Chicken Scratch NY and I are up with a burlap and ribbon challenge. Yesterday, Alecia posted and today is my turn, so here is my burlap and lace ribbon utensil holder! And even better, it's no-sew! 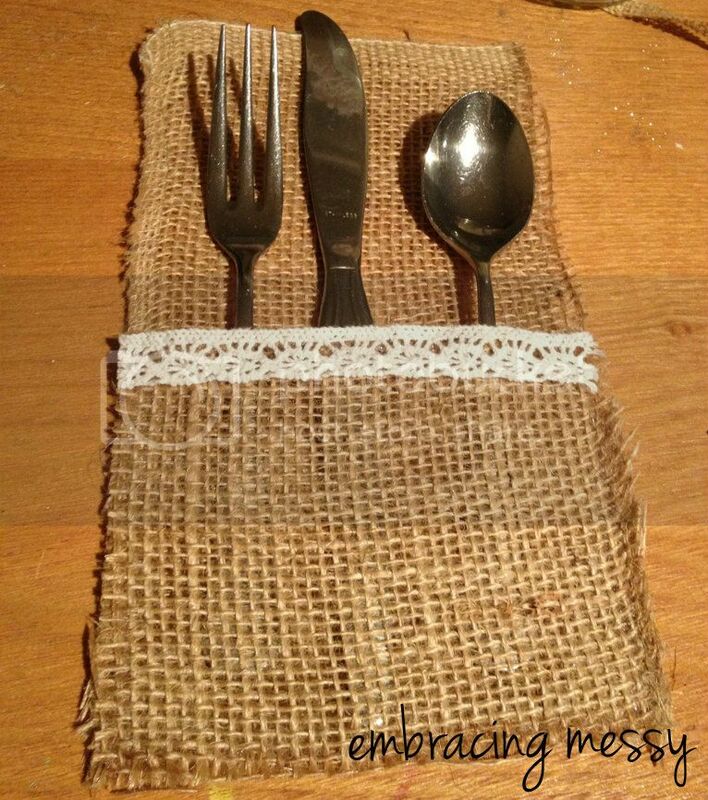 Step 1: Cut two piece of burlap, one long and wide enough to fit your utensils. Cut the second the same width and shorter. Depending on your utensils, this may vary for you. 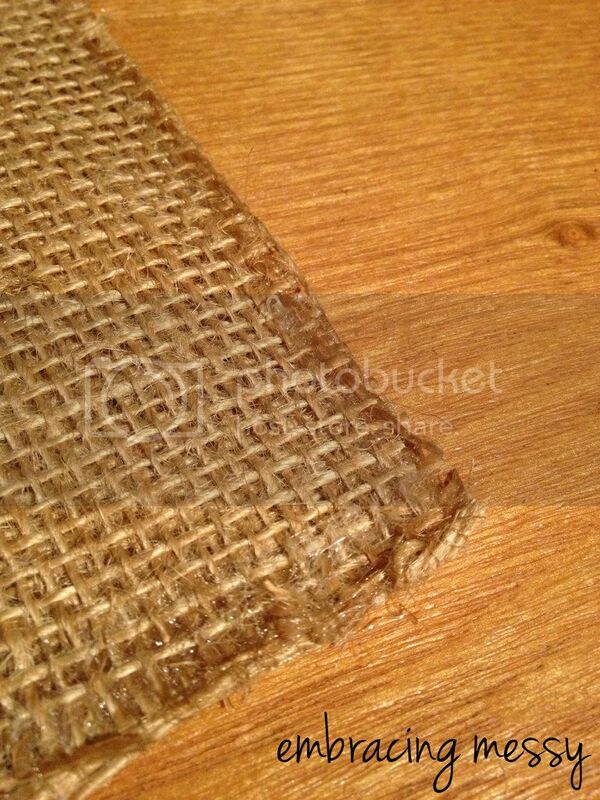 Step 2: Use Fray Check around the edges of your burlap to keep it from fraying. I couldn't do a burlap post without using this stuff! It's fantastic! Step 3: Now this differs from my step three. I would recommend gluing the lace trim onto your small piece first. 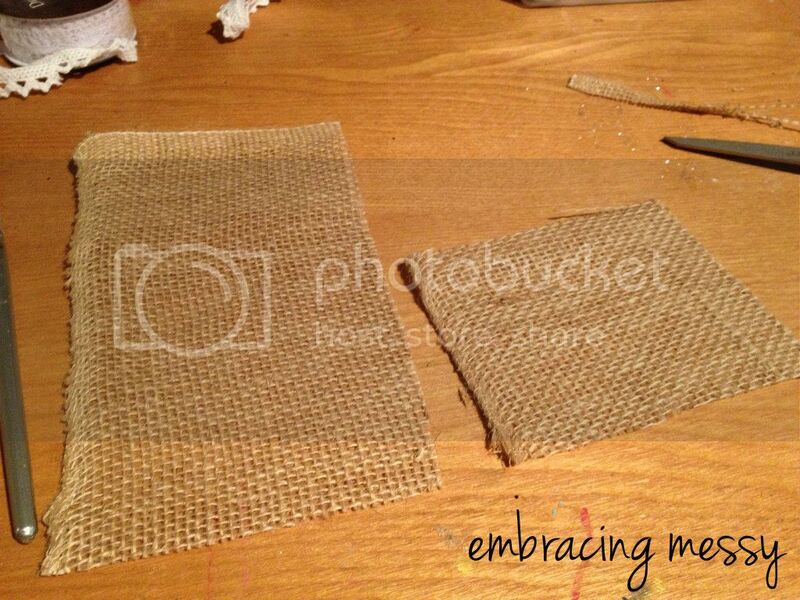 I glued the two burlap pieces together and had to place something between the two pieces when attaching the lace trim. Not a huge deal, but a bit easier to attach the lace first. Make sure to tune in tomorrow to link up your burlap and ribbon projects! You could win some awesome prizes! Well how fun and cute are those?!! I love the rustic of the burlap with the elegance of the lace ribbon! Nice project Kelsey!